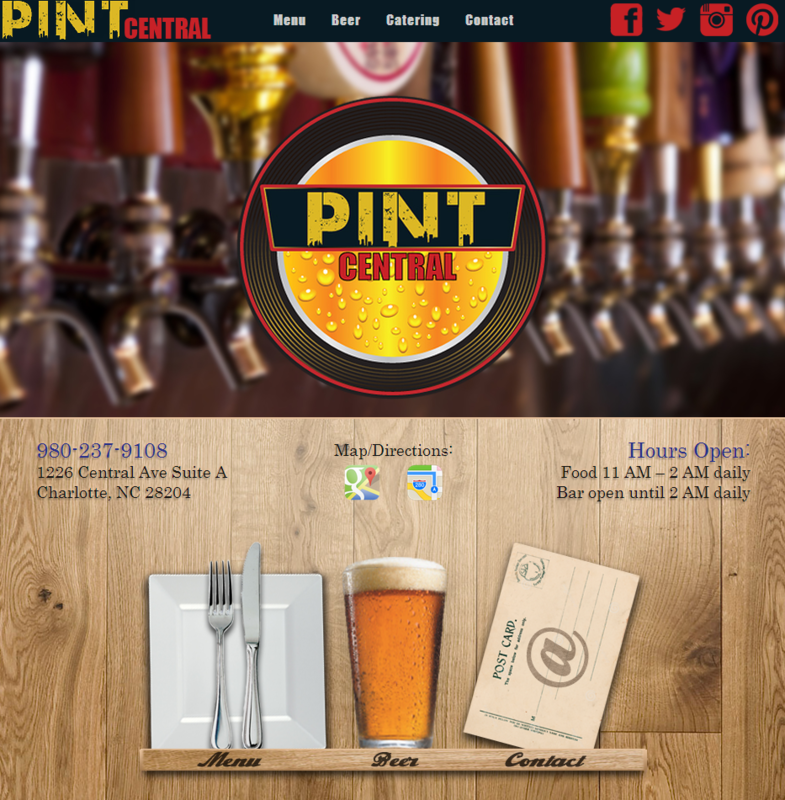 Pint Central is a very popular restaurant and bar in Charlotte North Carolina. We created a custom Wordpress Theme for this project, with a lot of graphic design. The aesthetic is designed to go with the look and feel of the restaurant and its atmosphere.